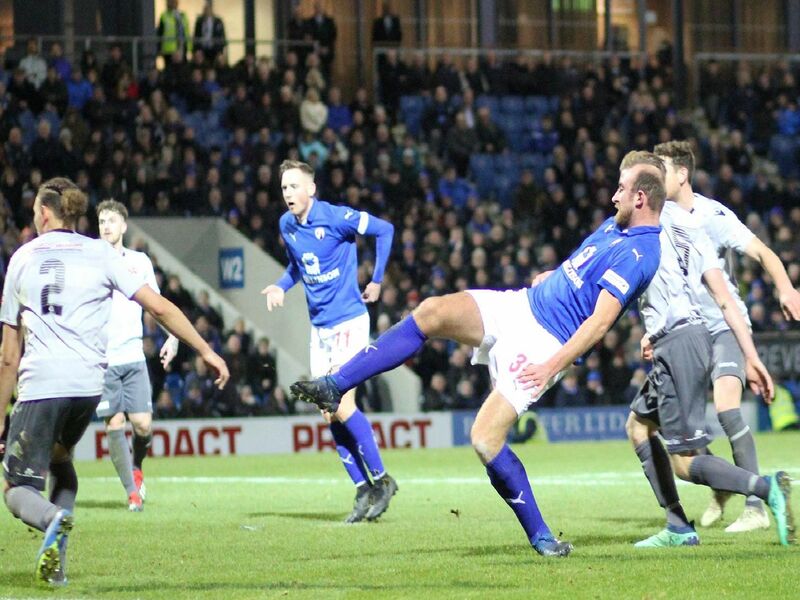 John Sheridan's second stint as Spireites supremo got off to a victorious start on Saturday, thanks to a late, late winner. Tom Denton came off the bench to score his eighth cup goal of the season and hand Town a 1-0 victory over Evo-Stik South Division One Central outfit Bedford Town. Shwan Jalal (6) had one, fairly routine, save to make in the game. A bystander for the most part, but added to his collection of clean sheets in his first game back since September. Jonathan Smith (6) moved back to right-back, where he is effective but not as influential on a game. Had to be alert to deal with a lively winger. Didn't have his shooting boots on. Jerome Binnom-Williams (6) cut through the defence with one eye-catching run in the first half but as is too often the case, didn't make the keeper work. Troubled Bedford, but not consistently. Haydn Hollis (6) saw a lot of the ball as Town looked to play out from the back and did okay in possession. Helped keep Bedford's targetman quiet.